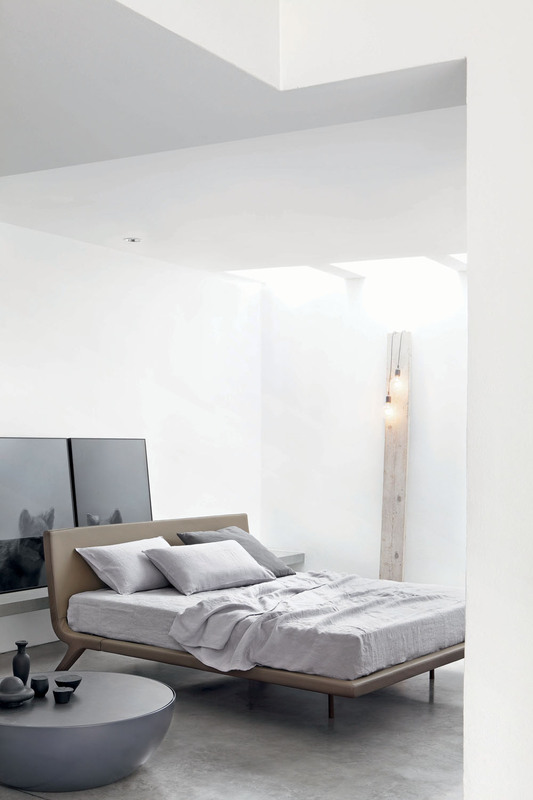 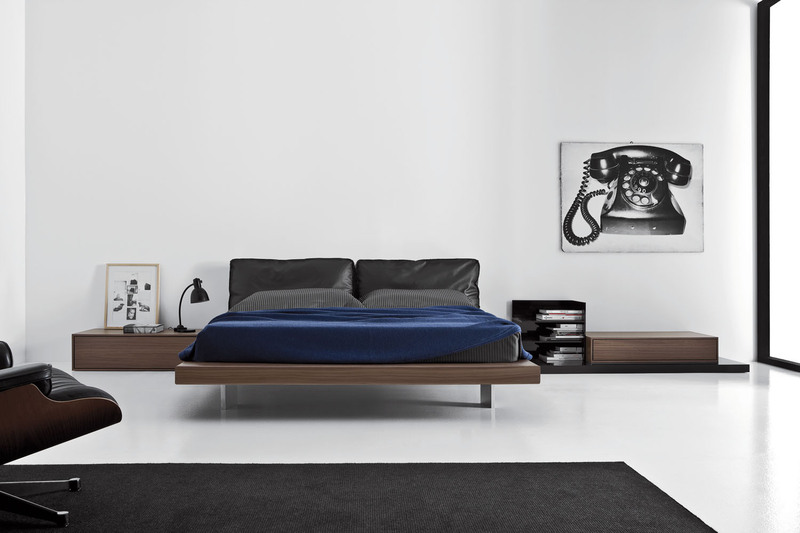 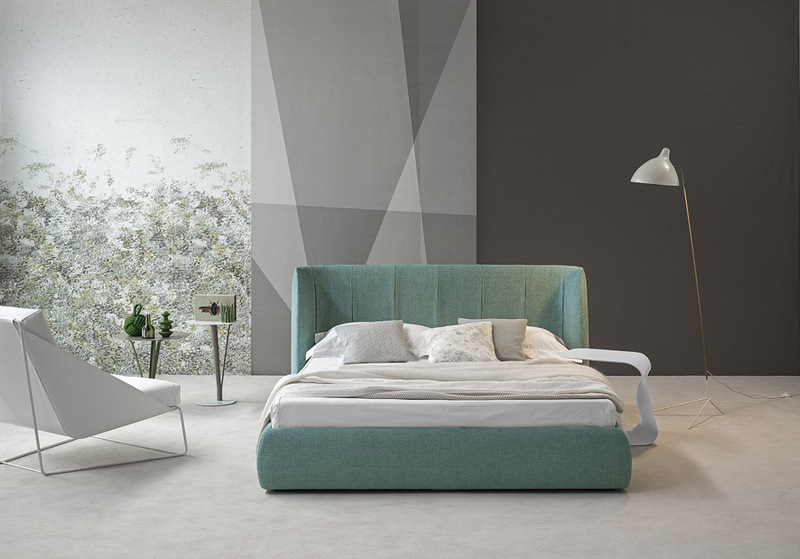 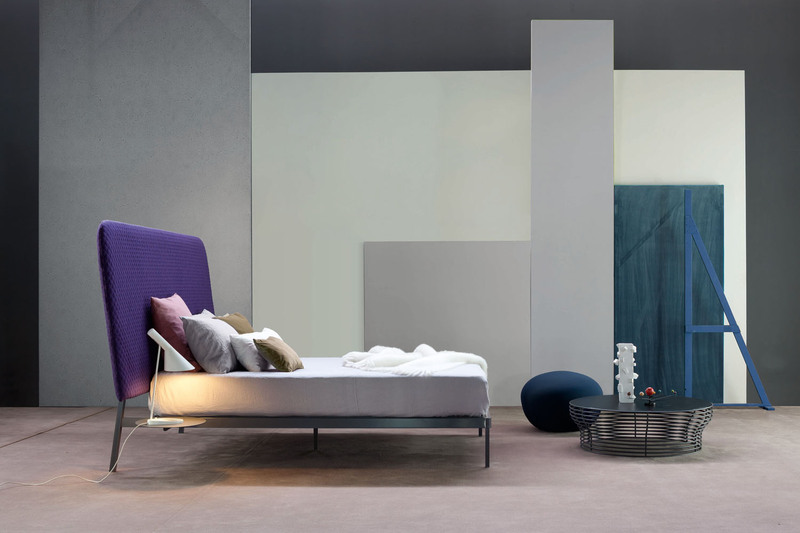 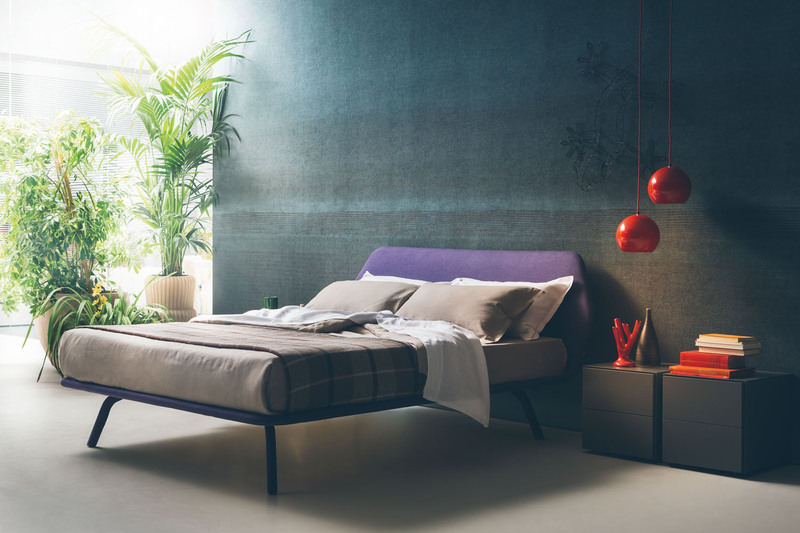 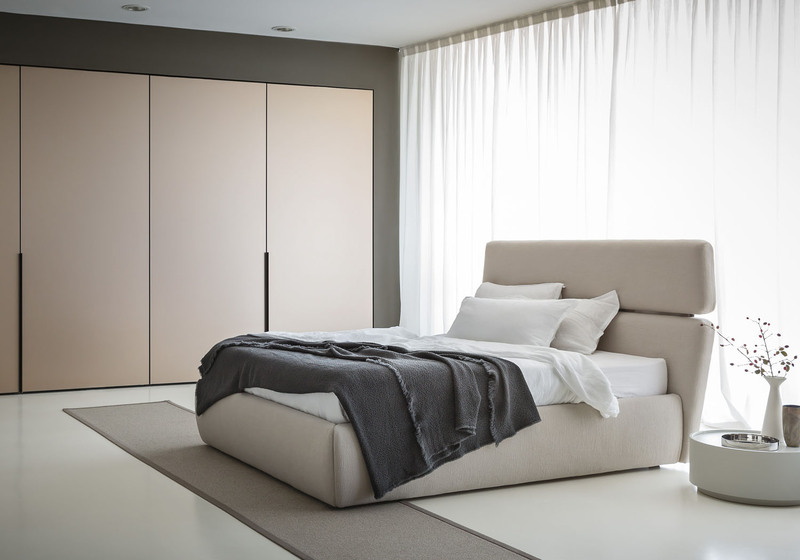 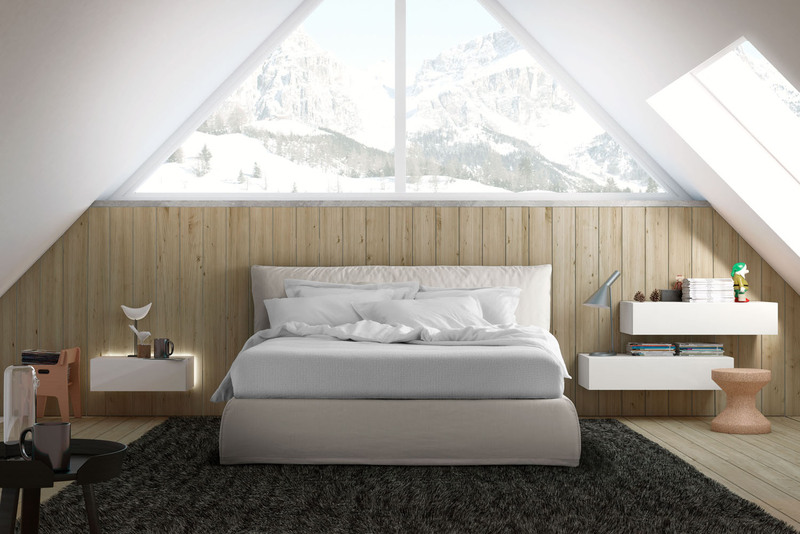 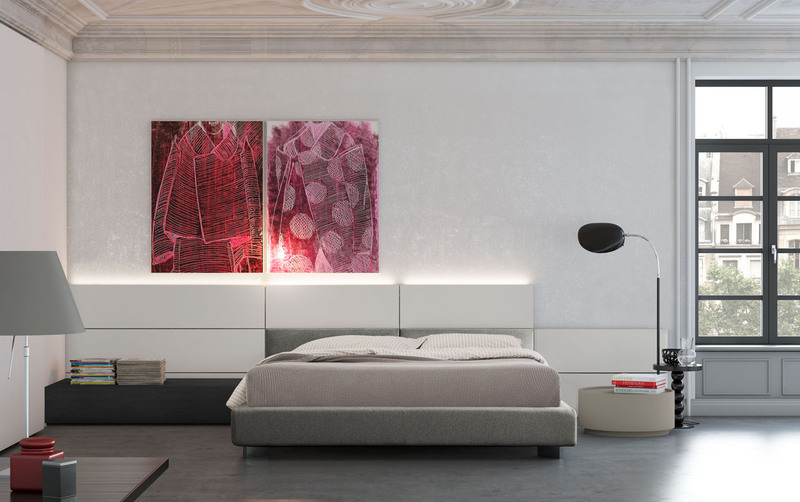 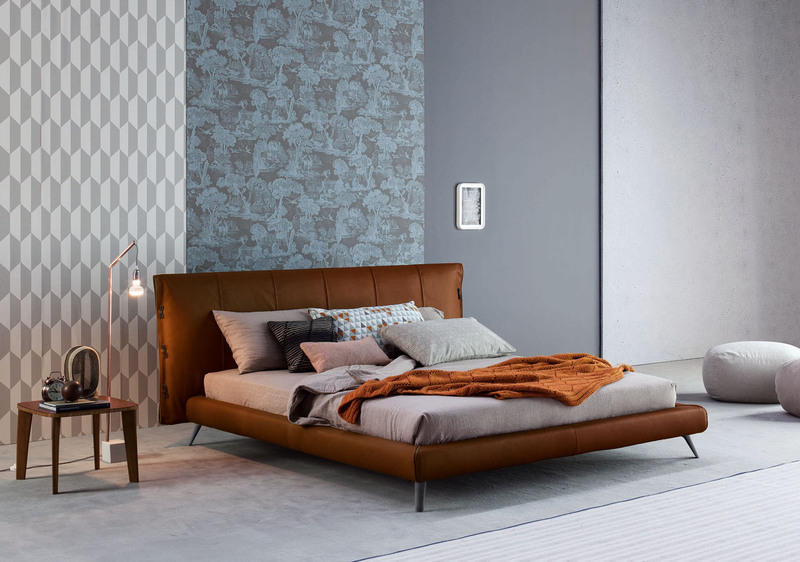 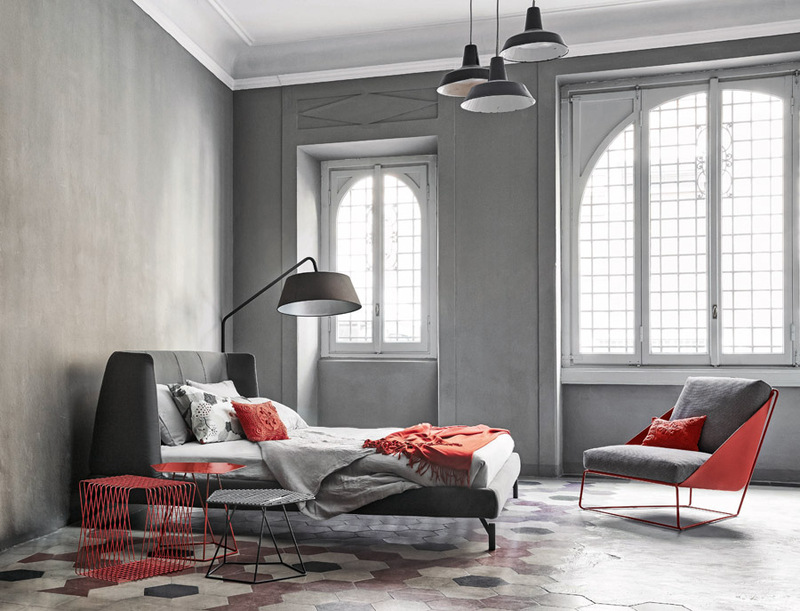 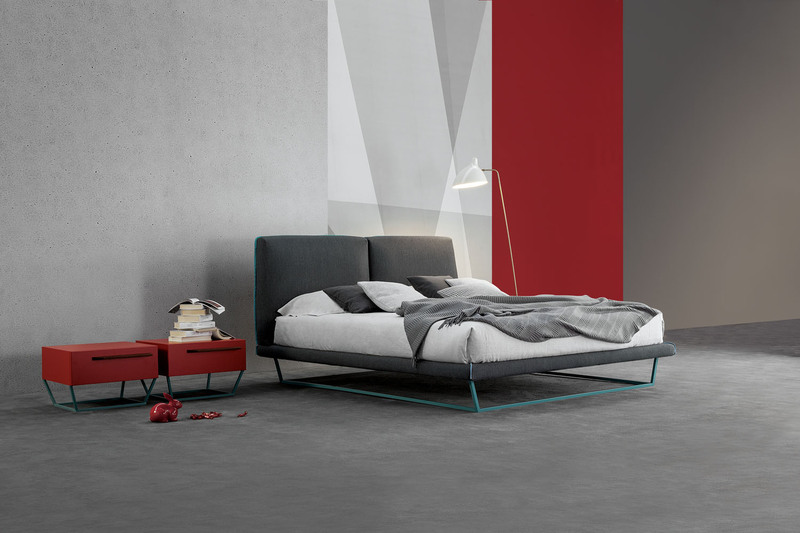 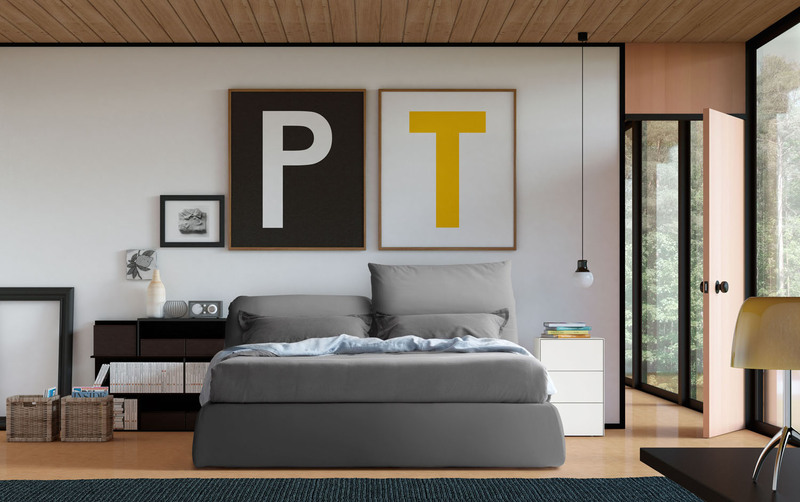 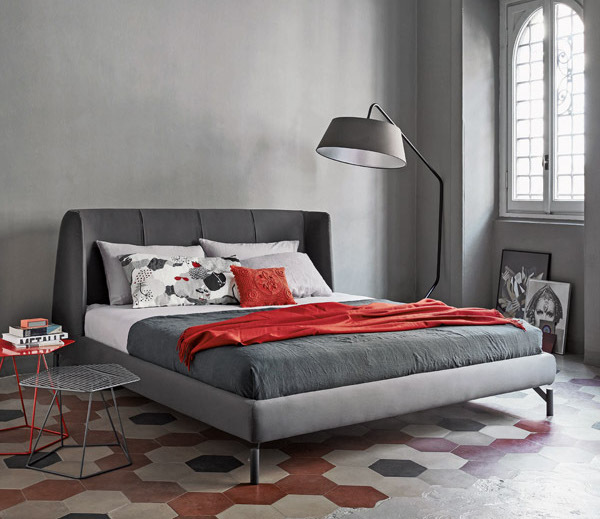 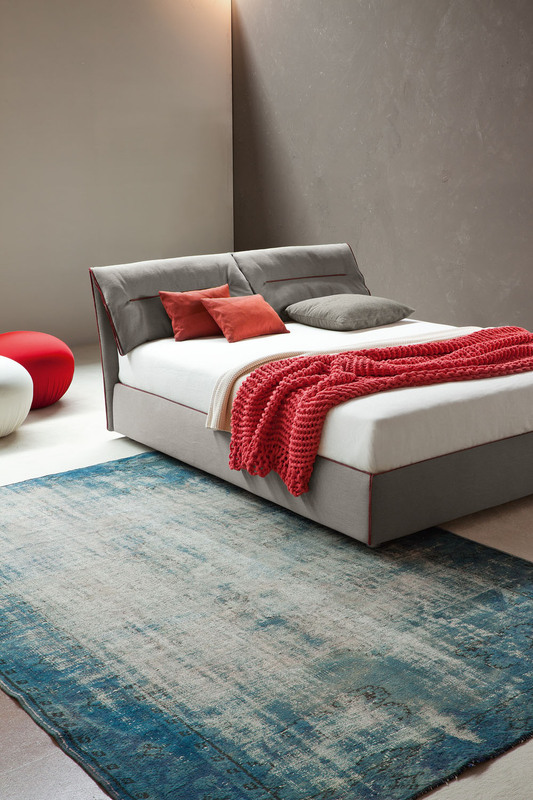 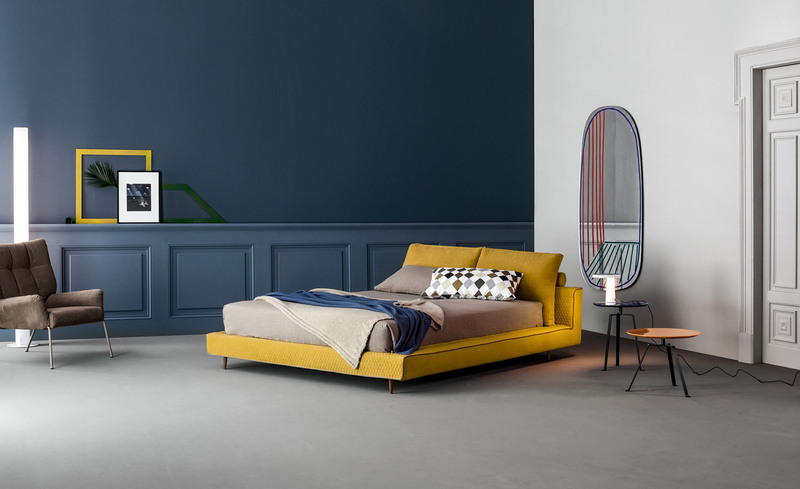 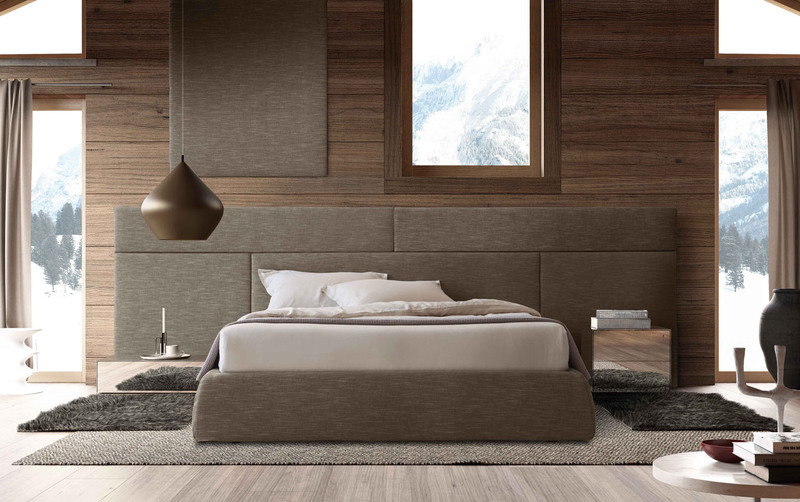 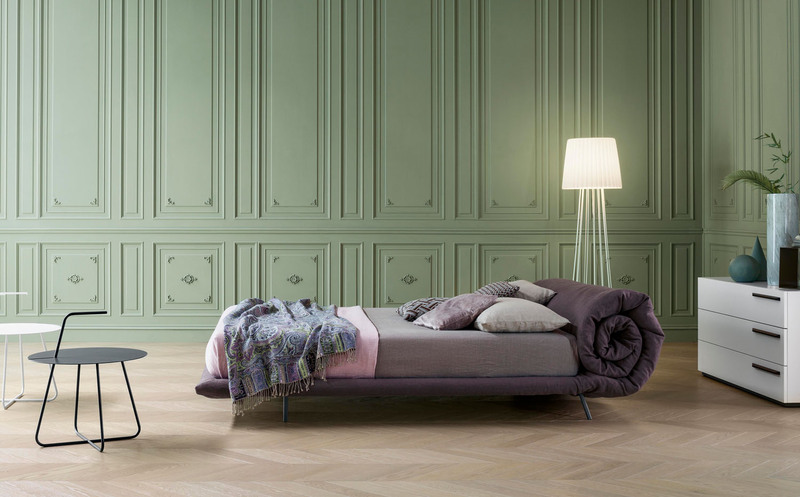 The Basket double bed by Bonaldo has an enveloping shape of the soft padded headboard, which is rounded on the sides and gives a pleasant, welcoming appearance to the bed. 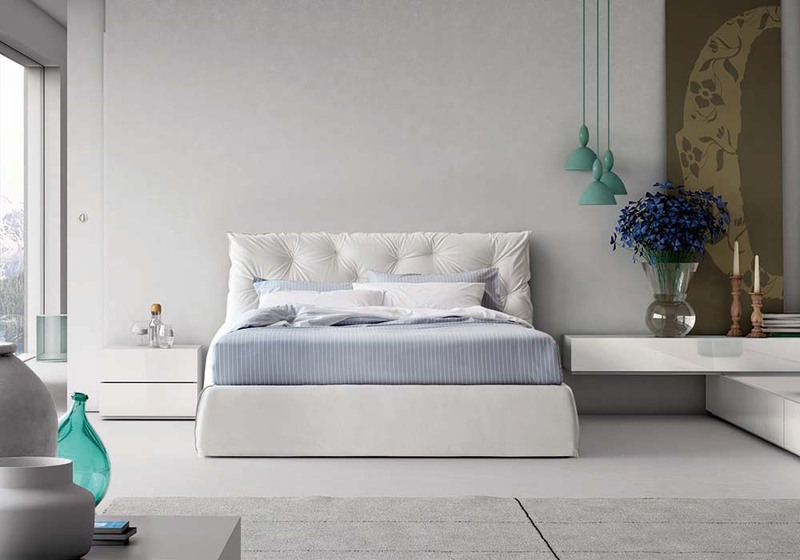 The Basket double bed by Bonaldo has an enveloping shape of the soft padded headboard, which is rounded on the sides and gives a pleasant, welcoming appearance to the bed. 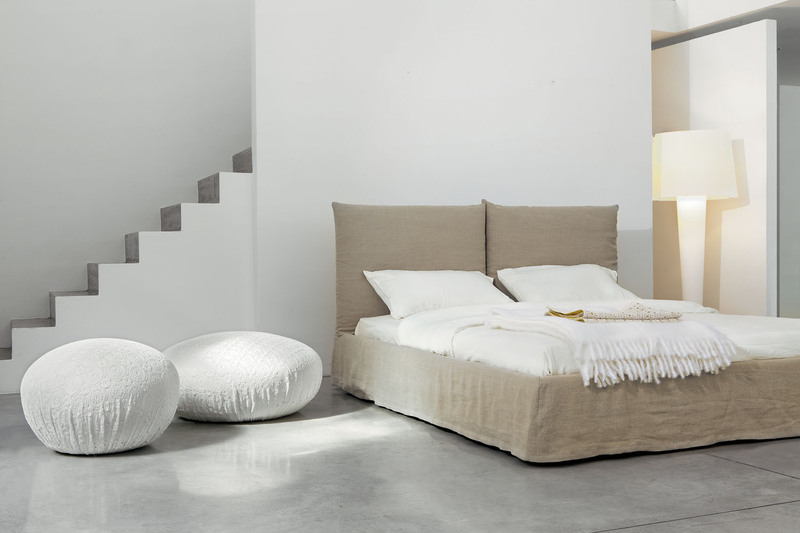 Basket is available in fabric, leather or eco-leather with fully removable upholstery covers. 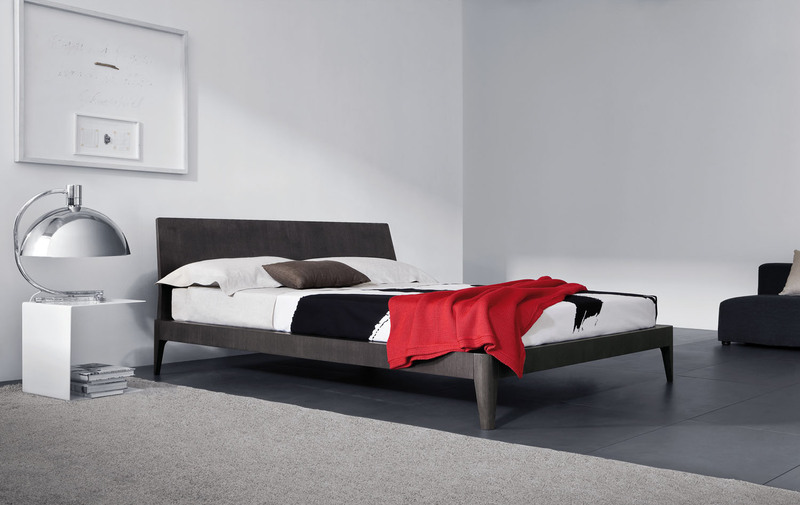 Fitted with feet in anthracite grey or silver painted wood. 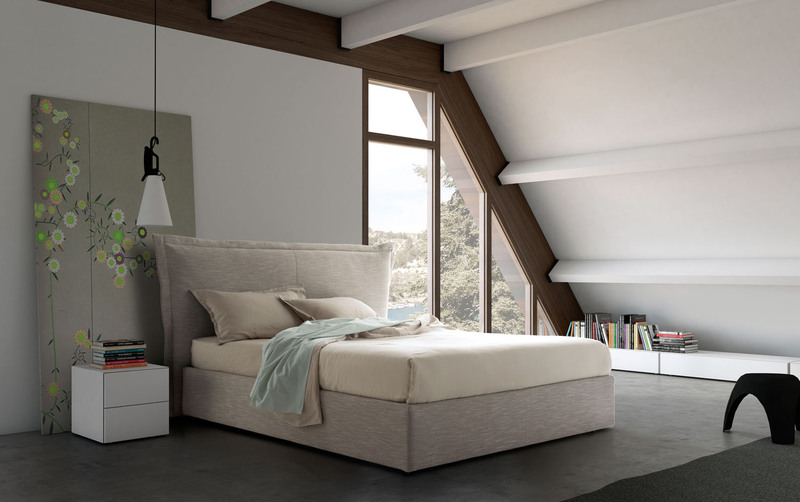 Also available with storage or in the versions: Basket plus (vertical stitches on the headboard), Basket alto (high back) or Basket air (non storage version on legs).